Ever since the origin of man on earth, the quest for knowledge has been continuing, however possessing the relevant knowledge is critical for the wholesome development of the mankind. The realm of human development encompasses the potential of the people who are knowledgeable, lead long and healthy life for a decent standard of living. Due to several reasons the human development has been asymmetrical and the most unprivileged and marginalised sections of people are tribal populations, whose accessibility to the present day benefits of technological advancement is still limited. The level of knowledge is an important poverty indicator and the inability of the tribal children to access and acquire knowledge is the main reason for the backwardness of tribes. Education is the basic necessity for the socio-economic development of any individuals and the society. An ideal and customized education system that suits the special needs of the tribal children and provides an opportunity to pursue the personal aspirations and career goals, is the cornerstone to the progress of tribal communities. According to 1991 census the literacy rate of the country was 52.2% while it was 44.09% in Andhra Pradesh and the literacy was much lower among Tribes that stood at 17.16% only in the State. The 2001 census reveals that the nation’s general literacy rate has gone up to 65.38%, where as AP records only 61.11%, and the ST literacy rate in the state is still low at 37.04%. 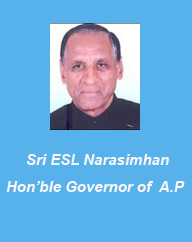 The female literacy rate among Tribes in AP is only 26.11% as against a general literacy rate of 61.11%. The literacy rate recorded an increase of 13% from 1991 to 2001 in general category across India, whereas it was only 17.5% among Tribes. The dropout among Tribes was found to be very high at 49.73 % in primary sections, 78.51% in upper primary and 81.76% in higher secondary sections.